First put the chickpea flour in a bowl and add the milk little by little until you have a smooth, quite liquid dough. Add salt and pepper. Cut dill in small pieces, same with the chili and add them as well. If you like really spice food, you can add more. I just used a half of a middle sized chili and I was happy with it :) Mix everything and put it aside. 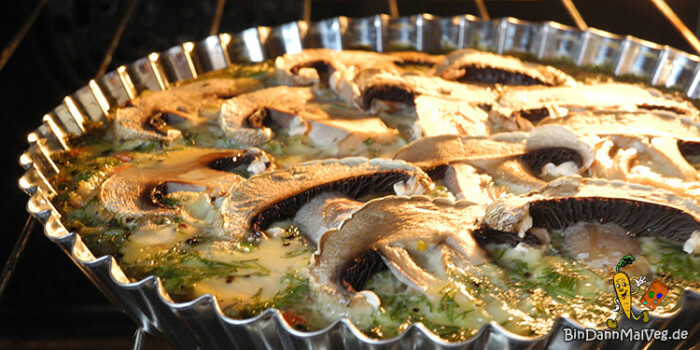 Clean the mushrooms and cut them in slices. Wash also the pumpkin and cut it in small pieces as well. Grease the quiche dish with some oil. 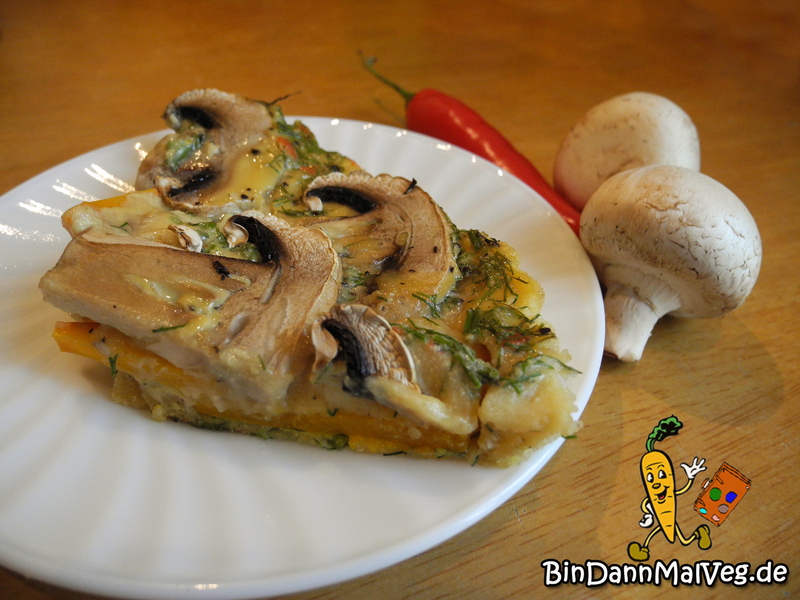 Now fill the chickpea-dough in the quiche dish, pile on the pumpkin and last but not least the mushrooms. Then you can put it for around 30 minutes in your oven. Afterwards you can also decore the dish with fresh dill. Buon appetito! DHA tốt cho thị lực và hệ thần kinh của bé.